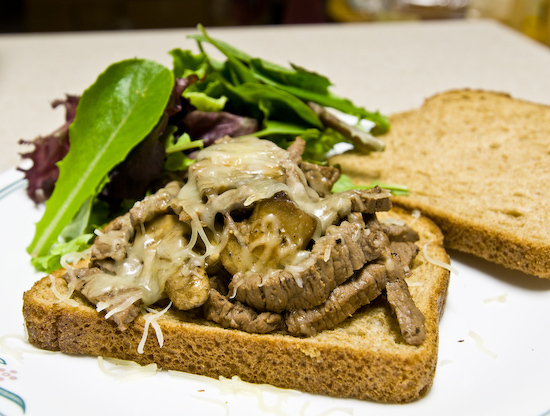 For lunch, I whipped up a quick steak and mushroom sandwich using thinly sliced round, sauteed mushrooms, and mixed cheeses (mozzarella, romano, and asiago cheeses I think - too lazy to walk over to the fridge to check right now). I paired it with a salad of Central Market Organics' Mixed Baby Greens. 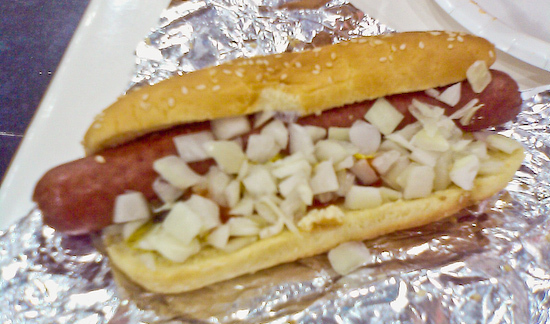 After another long day, we found ourselves at Costco where I picked up a Polish sausage for dinner. I also forgot my camera so here's a blurry shot from the subpar camera on my phone.